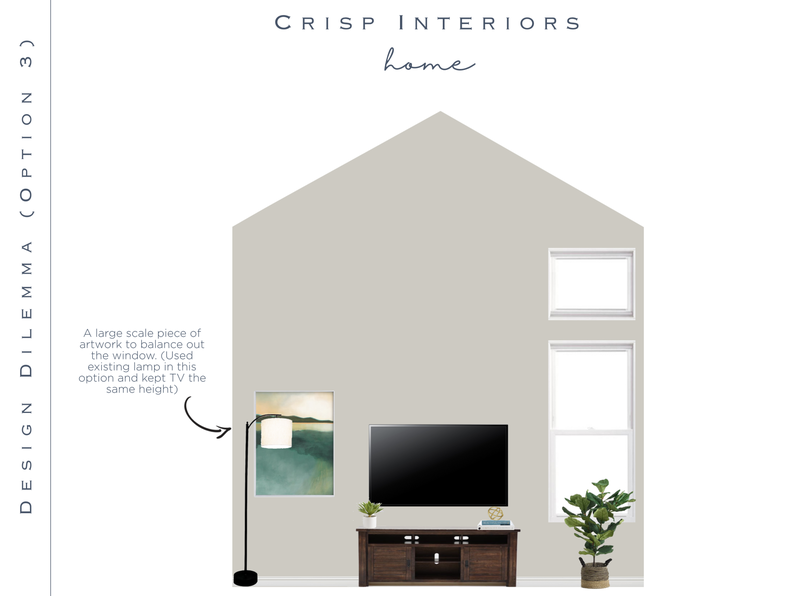 Last month I shared how Scott and I were ready to add some unique design touches to our home and wanted to start with the living room. 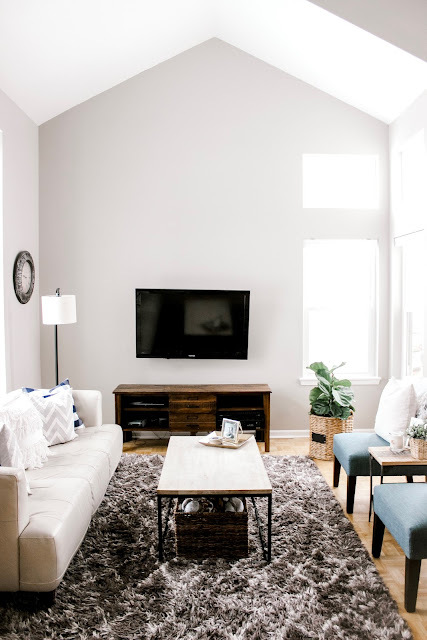 (You can read my first living room post here!) 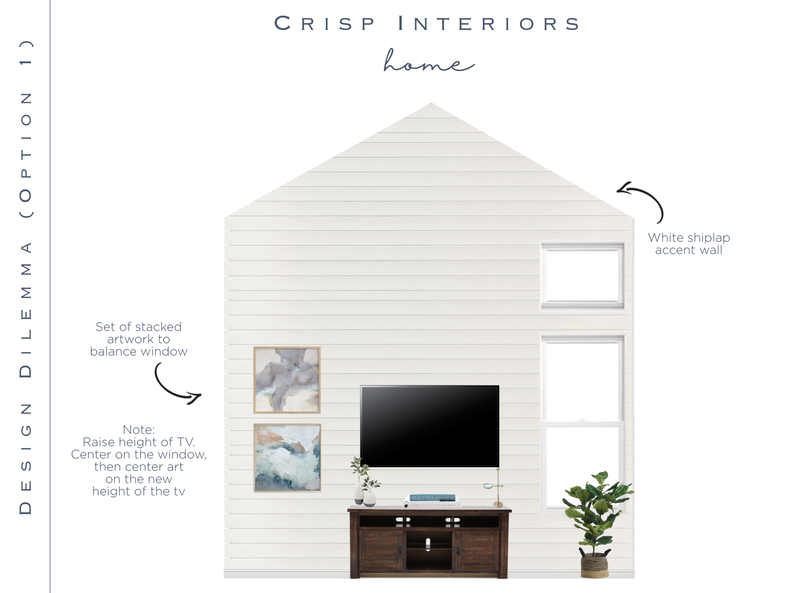 I had so much fun polling my Instagram friends on whether or not we should add a shiplap accent wall and got so much great feedback, BUT I still couldn't decide if we should go for it or not! One day I was listening to Jenna Kutcher's Goal Digger podcast and heard the sweetest interview with an interior designer, Emily Knotts from Crisp Interiors. Emily was a former teacher, turned small business owner who took a leap of faith and began her own design business. After listening to the podcast, I began following her business on Instagram and instantly fell in love with her bright and airy decor style. 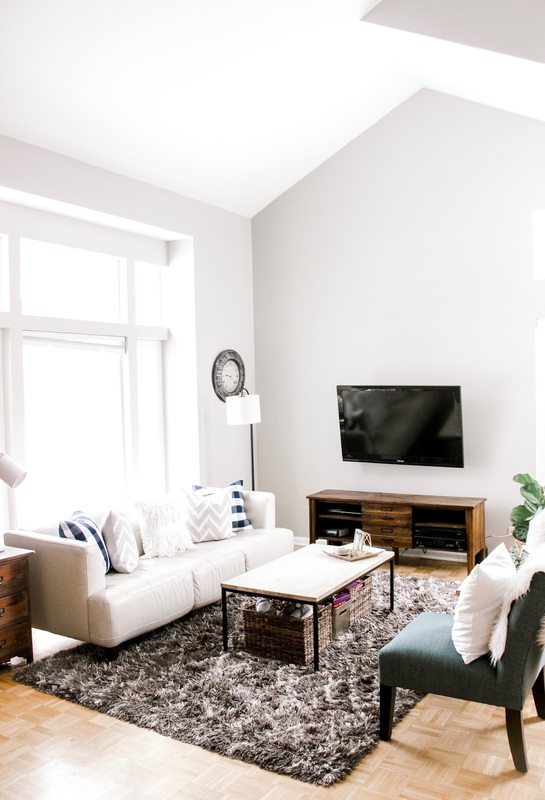 As you know, I'm a stay at home Mom and while I would LOVE to be able to hire an interior designer to come and help me add character to our home, that is just not in the budget for our family during this season of life. 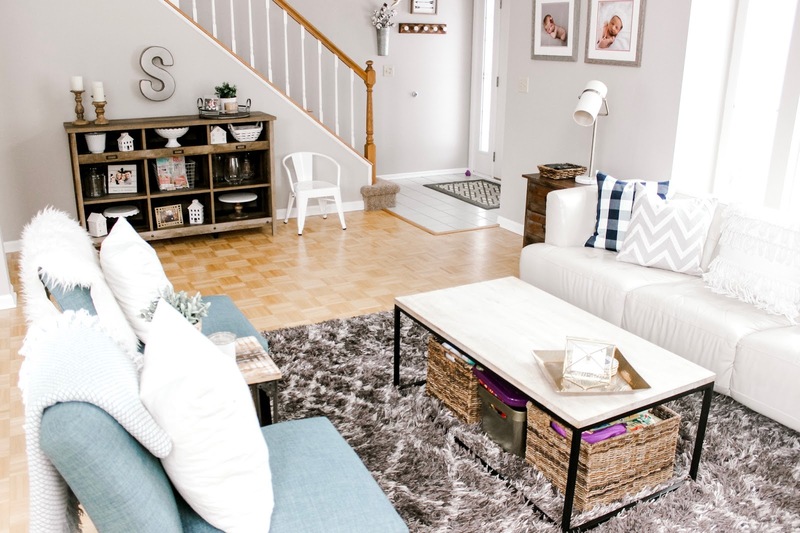 Well, lucky for me, Emily offers a "design dilemma" package, which is totally budget friendly and exactly what I needed for this space! "In this option I went with a shiplap accent wall. I think this is the perfect wall treatment for this space!! Most of your inspiration images had that light and airy look, and shiplap would help brighten this room up even more. I also think it will help add dimension and texture which would create the perfect focal wall." 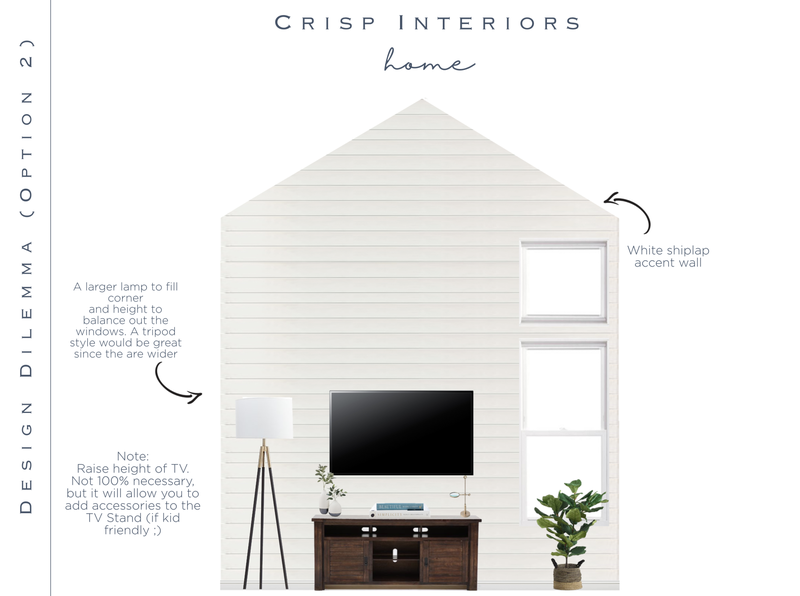 "In this option I kept the shiplap because it just looks SO GOOD! I then added in a larger floor lamp that will help fill that corner a bit better and add some additional height." "In this one I kept your current wall color. Then brought in a larger portrait piece. Again, this will help provide symmetry with the window." Tell me what you think! Which option do you think is the best for our space!? I cannot say enough great things about my experience working with Taylor, she listened to what I wanted for the space, stayed within my budget and even explained why she thought each option would work in our living room. The icing on the cake was when I received a hand written thank-you note from Taylor a few days after my dilemma, I mean that personal touch is just SO thoughtful and such a classy way to run a business! 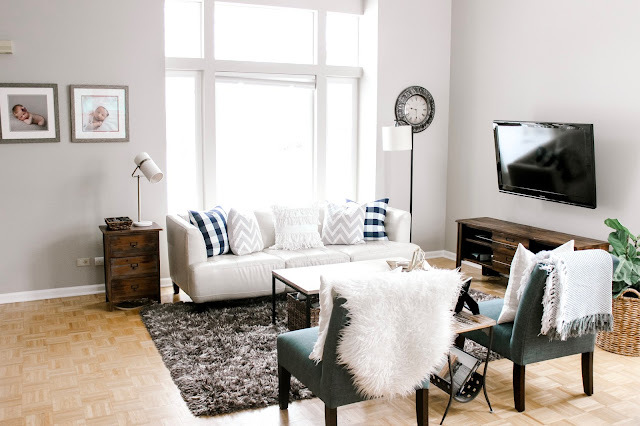 If you have a design dilemma like me, or are curious about other services Emily offers, take a peek at her website and reach out to Emily and her team, let these talented ladies solve your dilemma. This is in no way sponsored by Emily, I'm just a very happy paying client that wanted to pass along a great service provided by an amazing business woman. If you end up having Emily solve one of your design dilemmas, please make sure to comment or email me with her solutions, it's so fun to see what they design!